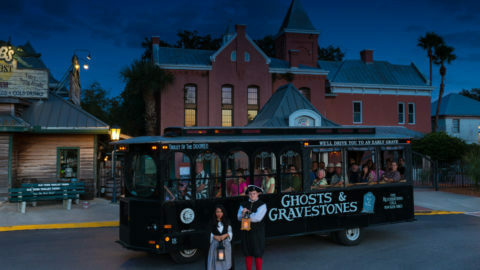 St. Augustine Ghost Tours are the most popular kind of sightseeing tour of the Old City. The first inhabitants that founded the city founded it in 1565, making it the oldest, continuously inhabited settlement in the country. Throughout the some 400+ history, ownership of the city was challenged and returned many times from one colonial power to the other. Many historic events, wars and battles were fought here making it arguably one of the most haunted locations in the United States. If you are visiting St. Augustine Beach Florida, check out the St. Augustine Ghost Tours available. Taking a tour of the city's darker areas can give you an interesting look at our special city. There are various different type of St. Augustine Ghost Tours. Some are walking tours where groups are guided through various parts of the historic district and into locations that are known to be haunted while the storyteller fills you in on haunted events and past legends. Others are trolley tours St. Augustine that take you on a haunted ride aboard one of the city's unique trolleys. You can even check out the ghost and gravestone tour which gives you information on the haunted tales and takes you by some of the more prominent ghost gravestones. For the more adventurous group, there are St. Augustine Ghost Tours that take you to the various haunted St. Augustine locations in a hearse. 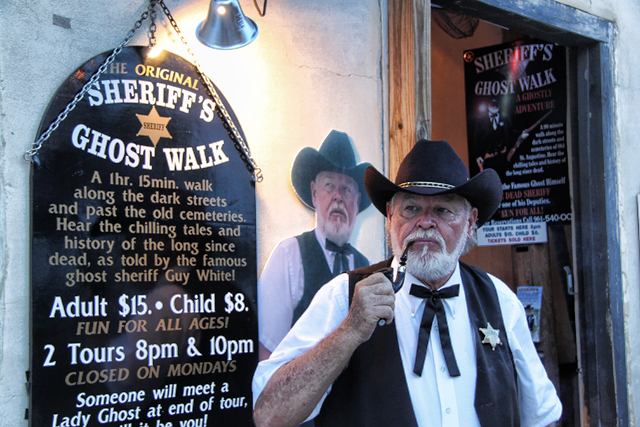 Haunted pub tours and Halloween events are also popular Ghost Tours St. Augustine. Plan your trip now. 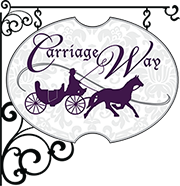 Carriage Way is located in the historic district, nearby to all of the great St. Augustine Attractions and ST Augustine FL Things to Do. We are within walking distance to many great shops, and St. Augustine Restaurants. We offer 11 modern vintage guests rooms in our historic, restored St Augustine Inn which features 2 lovely covered verandas. We hope to see you soon!